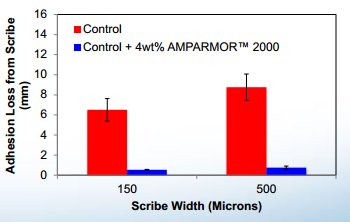 AMPARMOR™ 1043 by Autonomic materials is a microcapsule containing a blend of healing agent based on silicone-based resins, co-crosslinking agents/ enhancers and adhesion promoters. It is a dual capsule system based on reactive silicone polymers with ability to cure under water. 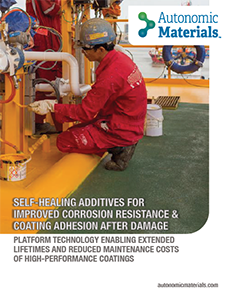 Compatible with epoxy, polyester, polyurethane and acrylic resins. 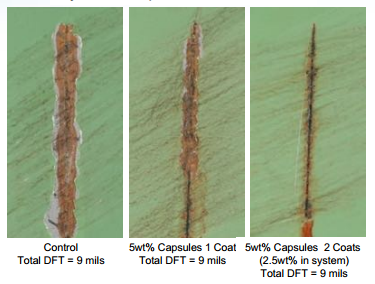 Offers self-healing for extended coating durability. 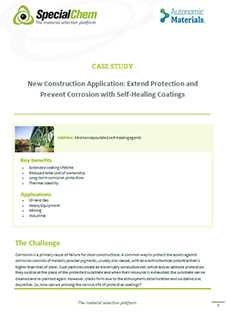 AMPARMOR™ 1043 is recommended for solvent- & water-based coatings and powder coatings. It is available in both dry and wet forms. 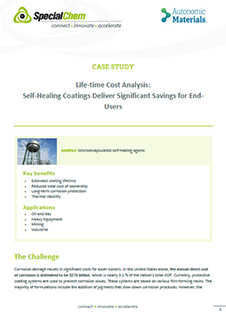 For powder coatings, it should be co-fluidized with the formulation prior to application. Recommended dosage level is 7.5 wt.% for maximum performance.